Models like the 2016 Acura RDX are able to speed ahead of slower traffic on Interstate 90 near Evanston, IL thanks to a powerful V6 engine. Explore CPO Acura RDX options at your friendly local Chicagoland Acura dealership! 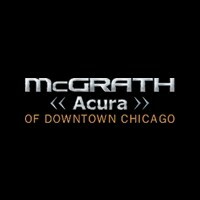 Why Buy a Certified Pre-Owned RDX from McGrath Acura of Downtown Chicago? At McGrath Acura of Downtown Chicago, you can get a great deal on a luxurious Acura SUV or sedan, and our certified pre-owned inventory ensures you can find the vehicle you want at the right price. On top of that, our showroom is located just a short drive down Interstate 290 from Oak Brook, IL. Apply for financing before you visit us to lock in a low interest rate, or contact us with any questions.